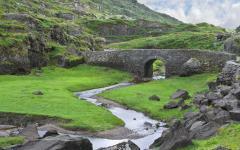 Seven days in Ireland will bring all the major highlights and all of the local charm. Bucolic landscapes are dotted with quaint villages alongside storytelling traditions and endless color. Dramatic coastlines are studded with castles, and Bronze Age remains while cobbled streets are perfect for wandering each evening. 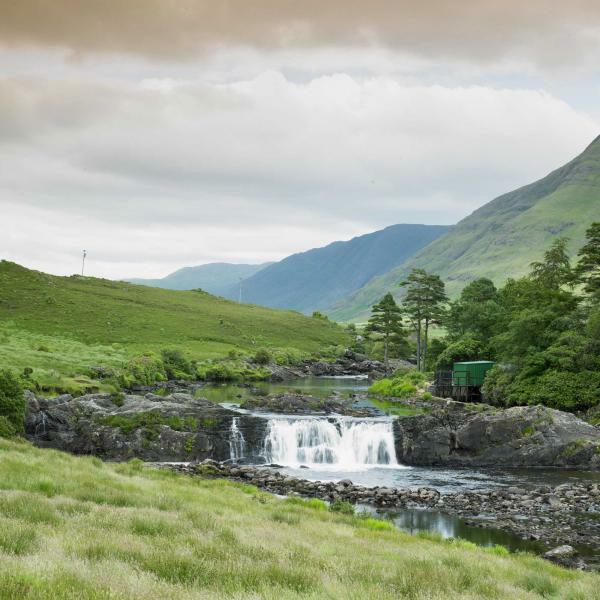 Gaelic culture provides an effortless immersion, and this itinerary is handcrafted so that you can experience it all with just seven nights on this is a fast-paced tour through highlights, heathlands, histories and hidden villages. 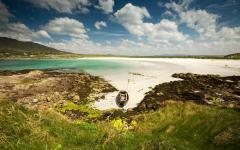 Visit the Ireland tours page on Zicasso for more travel ideas. Gaelic voices fill a colorful pub on the Atlantic seaside, and rugged castles dot the island landscape like pioneers from a lost time. Through the misty dawn air appears towering cliffs, and this is Ireland, a country of mystery and magic, where every moment is experiential. You might twist and turn for an hour before an abbey appears out of nowhere. Ireland is not the biggest of islands, so you can really pack in the experiences and get to know the coastline, the cities, the national parks, the villages, and all the cultural traditions. This handcrafted tour is designed to provide the complete Irish experience with just seven nights of travel. It has to be fast paced in order to fit everything in, but journeys between destinations are never laborious as instead, they are one of the main highlights. Each day there will be a new adventure, be it exploring an old city, walking in a national park, or hopping between really ancient histories. Then every evening brings quintessential Irish charm as each overnight destination is different, giving you a sense of the traditional subtleties found between the counties. 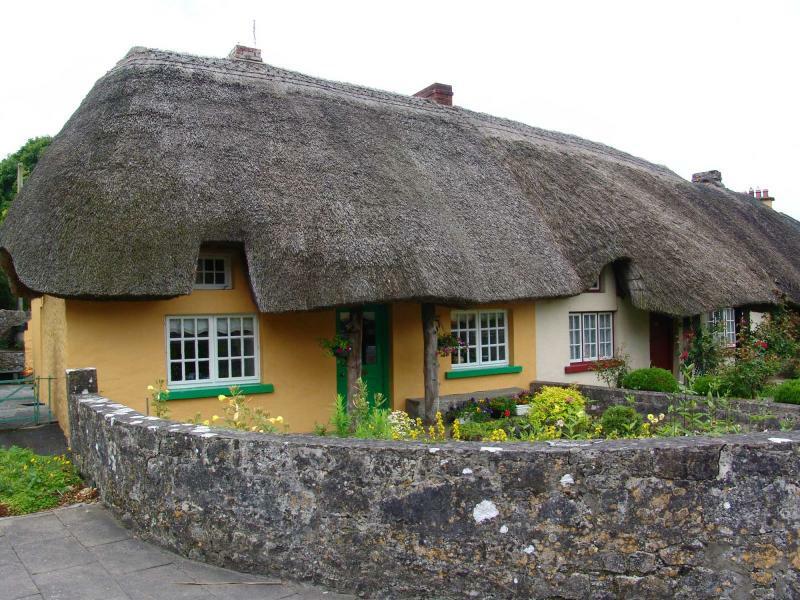 Dublin is city bustle while Adare is tiny and quaint; County Kerry has all the tourist paraphernalia while County Wexford is beyond the beaten track. 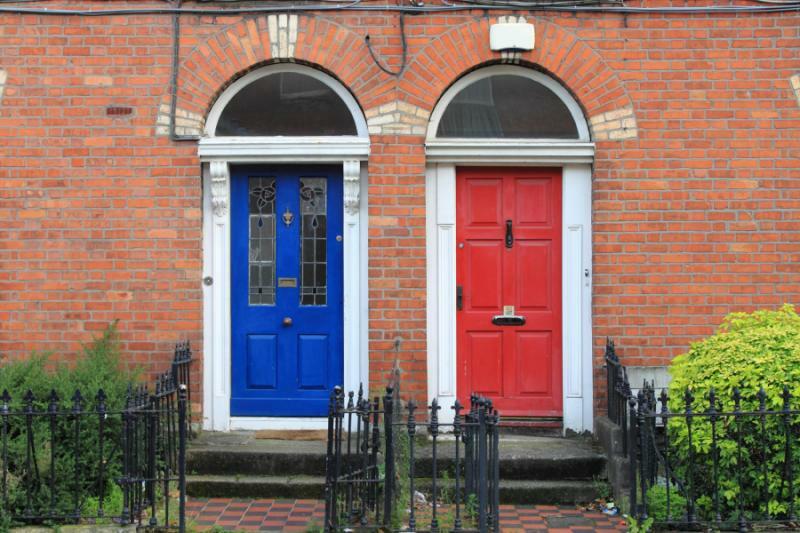 This Irish experience begins and ends in Dublin, so you will fly in and spend the day wandering the compact capital to take in the architectural glories and the country’s fun, easy-going style. Travel west towards Galway, and your guide will introduce a variety of potential stops. 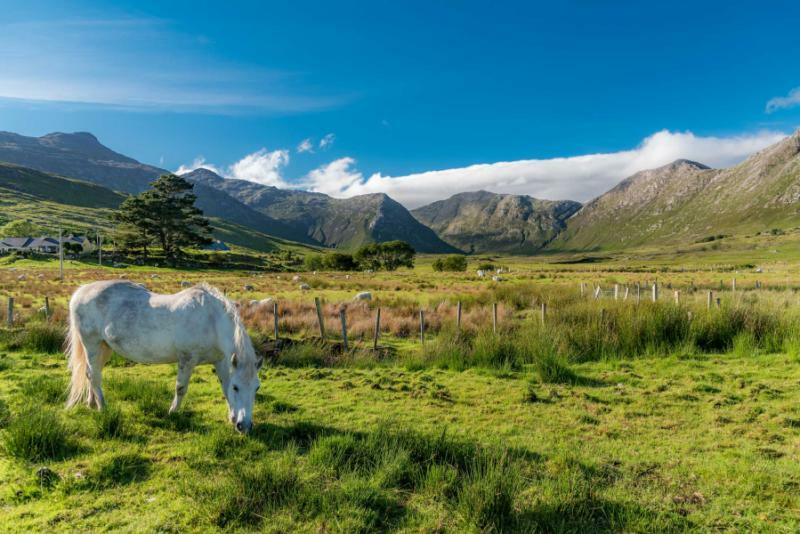 Check out Kylemore Abbey for a dose of history before taking a walk in Connemara National Park, perhaps also getting to Clifden as well, before an overnight around Galway’s Eyre Square. It will be the dramatic Cliffs of Moher on day three, then the rocky karst of The Burren, both these landscapes appearing more fiction than fact. 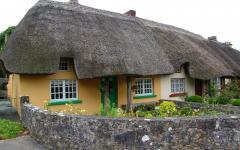 You will spend this night in Adare, the most charming and preserved of all Ireland’s thatched-roof villages. Next, it will be to the Dingle Peninsula, a bucolic green coastline studded with Gaelic towns and no shortage of local music. 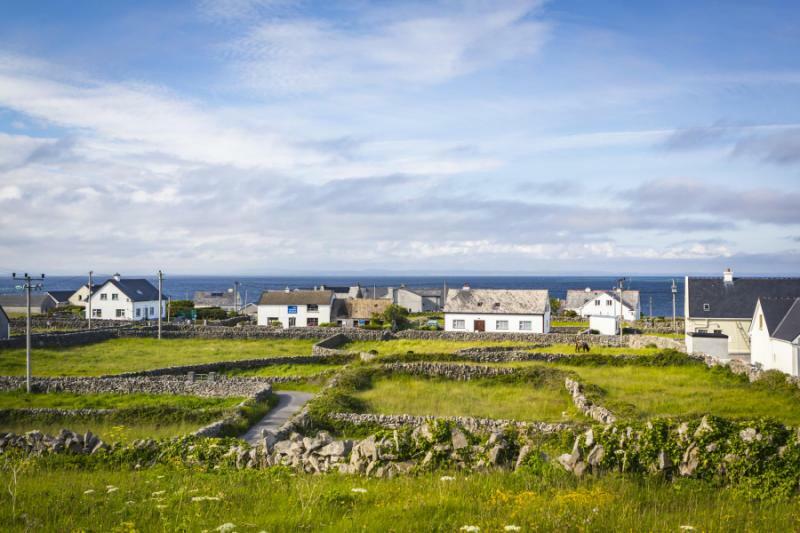 Spend the night on the seaside and get to know the Gaeltacht before hitting Ireland’s most popular destination – County Kerry. 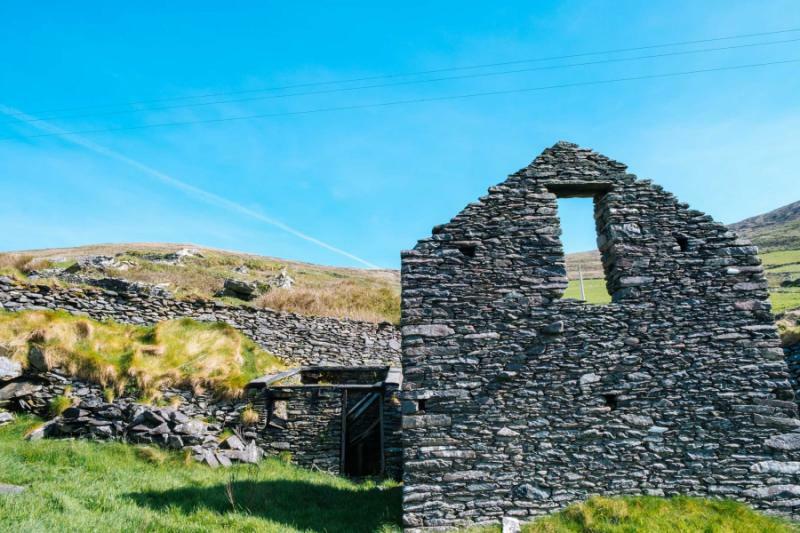 There are castles, national parks, tiny villages and everything else you can imagine from Ireland here, along with a surplus of other visitors. Your guide will help you handpick a selection of highlights before you spend the night in Kenmare. Traveling to the south coast, you will soon find Ireland’s maritime gateway and older city, Waterford. 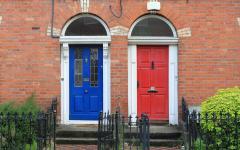 Wexford is close by and helps you finish with some lesser-known highlights and destinations. Seven nights means you will need some early starts and must pick and choose as you go. Each day of this itinerary could be extended to become two days, such is the abundance of things to do and places to see. 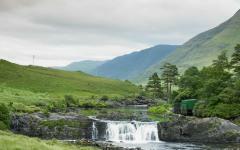 However, if you are happy with two to three hours on the road each day, then this private tour ensures you get the complete Irish experience, without having to compromise on comfort or luxury. The good thing about Ireland is that you never need to go looking for its traditions – so each evening you’re immersed in what the country is all about, such as resting up while listening to storytellers. 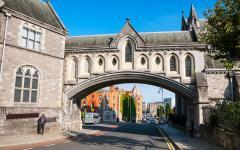 Interested in learning more by seeing some of our travelers’ Ireland vacation tour reviews? Click here for more. Landing in Dublin always brings a warm feeling as flowers adorn red-brick streets and pubs seem to inhabit every corner, each with their own lively-hued facade. Old stone architecture is delightful to the eye while the abundance of green space is rare for a capital city. Touch down, and early check-in has been arranged at a central five-star hotel. 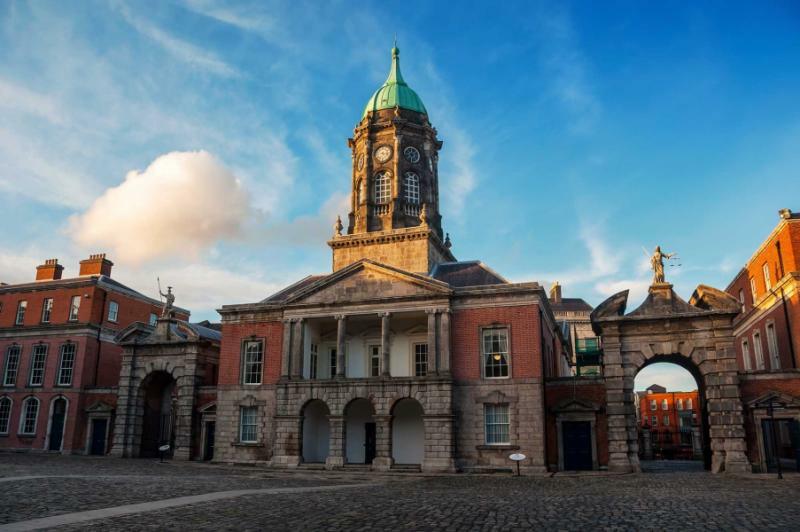 After freshening up, you can beat your jet lag as you walk straight out into the best of Dublin, with most of the city’s main highlights accessible on foot. First come the two architectural highlights as you explore Trinity College and find the Old Library, where an elaborate Latin manuscript is as beautiful as it is famous. 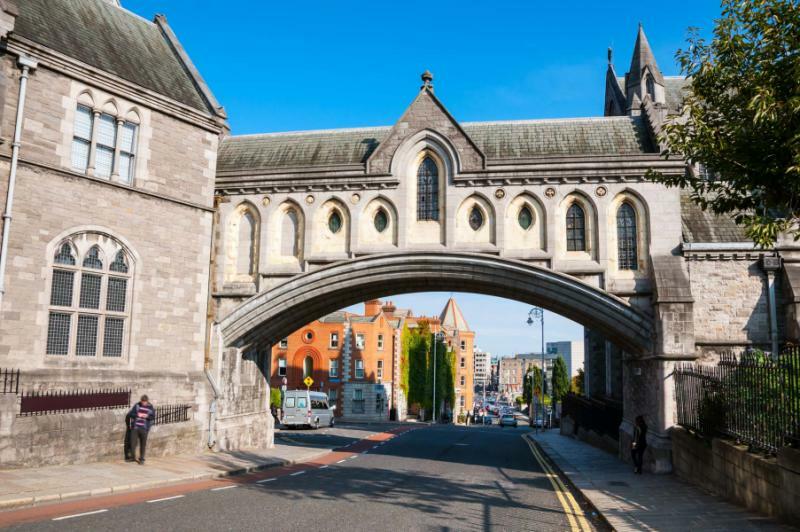 You will want to step into the 11th-century Christ Church Cathedral, as it will serve as a compass point for your time in the city. Dive into the crypt and see the famous names buried down there, and then ascend the belfry for a city panorama. With those essential stops out of the way, you can focus on the local Dublin vibe of having fun. Tour the Guinness Factory and taste the best possible pint of the black stuff, or join the locals in lounging around St Stephen’s Green. Grab a drink amid the lively chaos of Temple Bar, where thick accents echo amid musty rooms. Then breathe and find some time to relax with dinner and an early night. It will be an early start but fear not as your morning begins with breakfasts that are hearty and set alongside tea that can wake you up as well as any coffee. It will be a good four-hour drive west to Connemara, the longest drive of the trip. But along the way you get to know more of Ireland and see how the roads twist through villages and vintage scenes and how the landscapes never seem to change, yet every angle appears to be different. Arrive to Connemara, and you will soon be confronted by drama, Kylemore Abbey a breathtaking sight as it sits on a lake in deepest Ireland. Stop for lunch in the garden cafe here before a guided tour of a place owned by Benedictine nuns. For the rest of the day you explore Connemara National Park. Mostly you stay out of the vehicle, walking amid bogs, mountains, heathlands and lakes. Herds of wild Connemara ponies may be spotted, along with strange rock formations and crashing Atlantic waves. Galway is a good place to arrive if you’re exhausted from the day’s explorations. It’s small and compact, with many traditional pubs around Eyre Square. Pop in one for dinner and you’ll hear Irish music, something that gives energy to any a weary traveler, and helps you get a good dose of local Ireland without having to leave your seat. Ireland is all about the journey. Cliffs appear out of the morning mist, their jagged, moss-covered facades above frothy waves. When it’s raining these Cliffs of Moher are moody and majestic, as if putting up a barrier against the skies. When the sky is clear, you walk along their glory, wind in your hair and the impressive crash of waves in your ears. This whole coastline is dotted with dramatic sights, and the journey continues, stopping at Bunratty Castle and the Neolithic portal tomb of Poulnabrone dolmen. While this fast-paced tour does spend a lot of time on the asphalt, the views are sublime, and there is always another highlight along the road. Move onwards to the ethereal limestone karst as The Burren appears to be stepping stones, bizarre slabs haphazardly linked together, stretching on and on. But stepping stones to where? You can walk and jump across them, yet still there are more, this barren land more like the moon than anywhere on earth – it was a key inspiration for Tolkien’s Lord of the Rings. It will be late afternoon when you reach Adare, which is a good time because it means the day-trippers have left. Thatched roof houses form a harmony down the village streets. Horses pull carriages across old stone bridges, and it is elegant and enchanting, a village from a movie topped by a ruined 13th-century castle. You will have a whole evening to walk around, and as with all your overnight stops, there’s no shortage of local pubs for a hearty Irish meal. It will be less driving now as you head back to the coast, where the landscapes are softer but just as enticing. 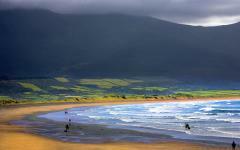 While the cliffs further north are jagged and imposing, the Dingle Peninsula is all rolling hills and curved heads. Peaks converge on each other, and you will soon be all alone in Ireland, surrounded by nothing but green slopes and a sense of silence. 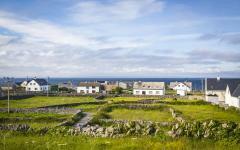 Locals still use Irish as their main language, and music can be heard throughout day and night. The day’s route is flexible and depends on what you want to see. 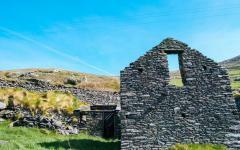 There are some great walks along the coast, but also an abundance of sights on route. Towards the westernmost point of Ireland, you will see the wild remains of Minard Castle, then entering Dingle you hear the euphonic chatter of a Gaeltacht town. Officially you’re not staying in Dingle, but Daingean Ui Chuis, the Irish name that is still used. All of the street signs are also in Irish, making for many a confusing photo. And while you may not be able to decipher the words, the music is accessible to all. This is a seaside town that’s big on entertaining, with music and storytelling two ways to preserve language and tradition. 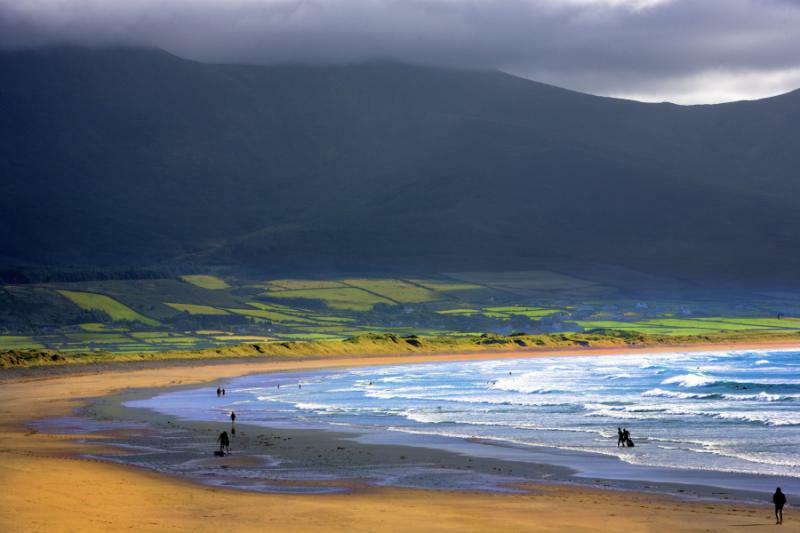 Although it’s nowhere near as popular as other places nearby, those that venture to Dingle often find it to be their favorite stop in Ireland. Ah, the Ring of Kerry, that famous circular route that’s been celebrated as one of the world’s finest drives. You do not need to do it all and in fact, with all the tour buses bustling around, it is better to pick and choose. 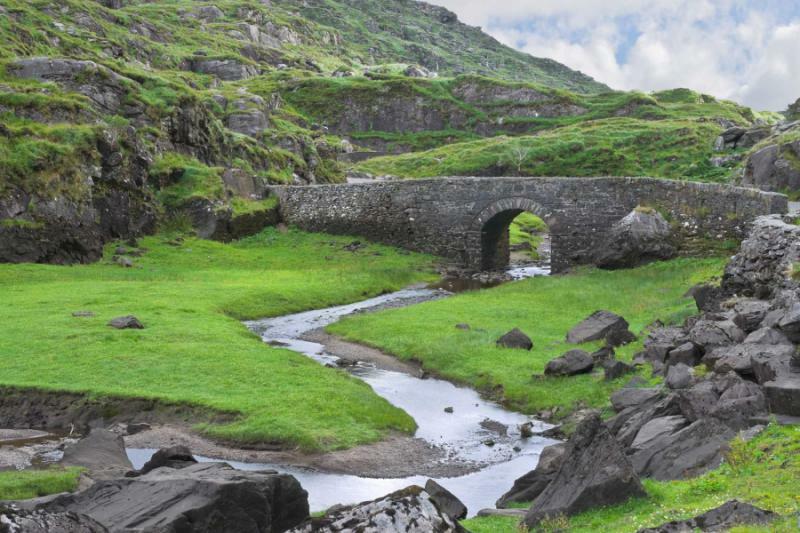 Your private guide will help you make up a route to suit your interests and energy levels, mixing in the variety of experiences that have made the Ring of Kerry so well known with a fairytale village, some Bronze Age architecture, an old isolated castle, and a dreamy coastal view. 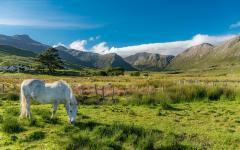 Throw in some exploration of Killarney National Park, and you have more than enough for a day. Yours is a one-way route which saves further time as you come from the north and end in Kenmare, perhaps the most charming of the County Kerry towns. Every house is painted a different color here and then adorned by a traditional signboard and a handful of flowers. Although more touristic than Dingle, it has plenty of different lanes to explore, so you don’t need to photograph the same colorful street as everyone else. Your hotel is on the edge of the town, a manor house that has one view towards the countryside and another to the town. Waterford’s story must be experienced to be understood. 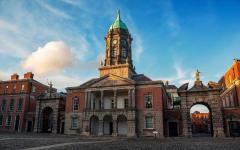 It’s Ireland’s oldest city and a maritime gateway on the island’s far south. Viking raiders came and dominated, leaving behind their own snippets of culture. Norman conquerers then arrived and set up shop, using the natural harbor to bring wealth into Waterford. Medieval merchants came from all over Ireland to do business here. Next, there were the earls, the bishops and the palaces to complement fortress defenses. After the transfer to Waterford, your local guide leads the discovery both in the city and in the trio of Waterford Treasures museums. You may be a little travel weary by now, so these last two days are much slower. After the drive to Waterford, there will be no more driving, just an ancient city with a fabulous history and a local guide to show you around. After the treasures there is the Waterford Crystal, and after that, there is a whole city of mansions, gardens, churches, pubs, and everything in between. County Wexford is where the Irish go on vacation, and by now, you will be more than happy to take the Irish lead when it comes to this island. The coastline here is as spectacular as to the west, just nowhere near as known. 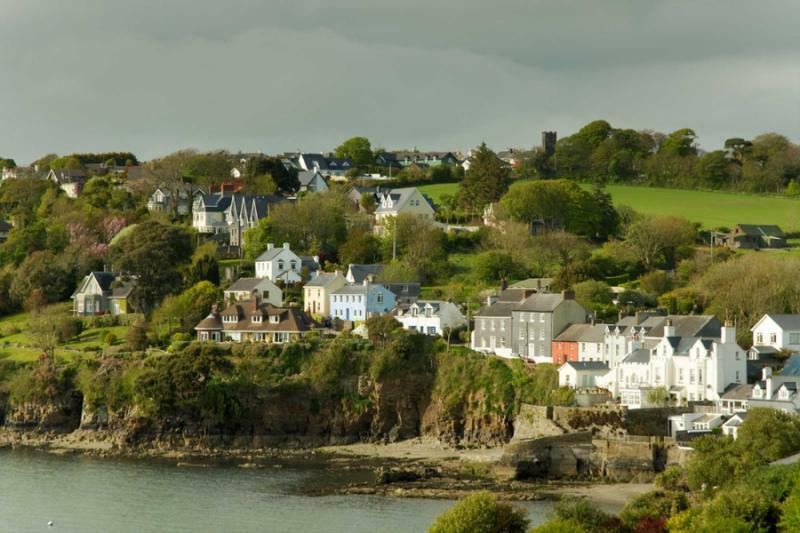 Like County Kerry, it is dotted with small, quaint villages, where Irish is spoken and the houses come from a fairytale. Historical sites pile up, each one different from the last. Visit the world’s oldest operational lighthouse, step back 1,500 years in Enniscorthy, and find out why Toss Tapestry is so revered. If you have a little Irish-American heritage, then the interactive Dunbrody Famine ship can help you trace what happened when so many migrated across the Atlantic. As with previous days, your guide will help you pick and choose a route, incorporating two or three attractions before you spend the evening amid Wexford’s medieval cobbled lanes. You will notice the distinct lack of foreign tourists and the guide can point out two pubs for a final night of singing and dancing. After breakfast and one last leisurely morning, you will transfer back to Dublin for your international flight.